I decided I'm going to eat a salad a day for the month of June. I was reading the latest issue of Real Simple Magazine, and I fell in love with their idea of "super bowls." An ingenious mix of grains, veggies, and anything else in your pantry and fridge you want to feast on. This salad is pure and effortless. Steamed veggies and dried cranberries, tossed with a light honey vinaigrette. Nothing but whole, fresh ingredients. My body was thanking me for this nourishing goodness. This tuna salad is mayo-less. Instead, I used hummus! 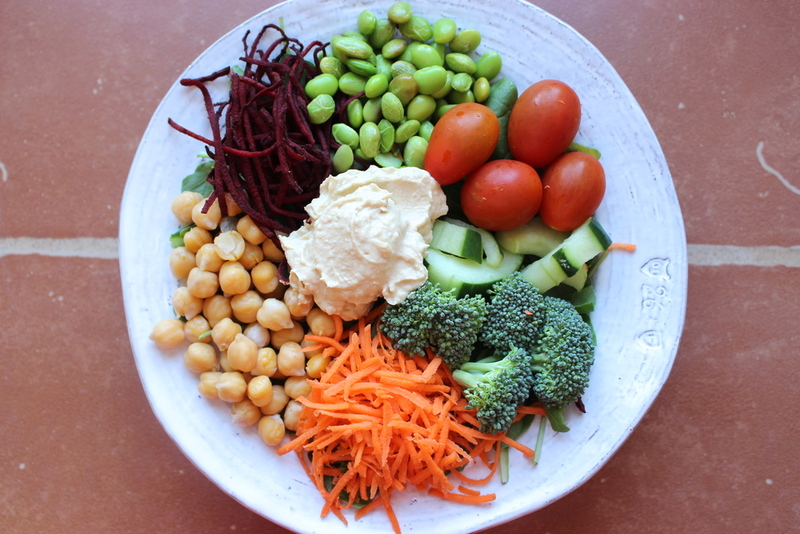 Hummus is low in calorie and fat, and has a good amount of protein and fiber. And it's tasty! I love to cook for other people. Food is my love language. So last night I made dinner for my friend Alana as a token of gratitude for letting me stay at her house while I was in transition to a new living situation (friends don’t let friends live out of their car!). 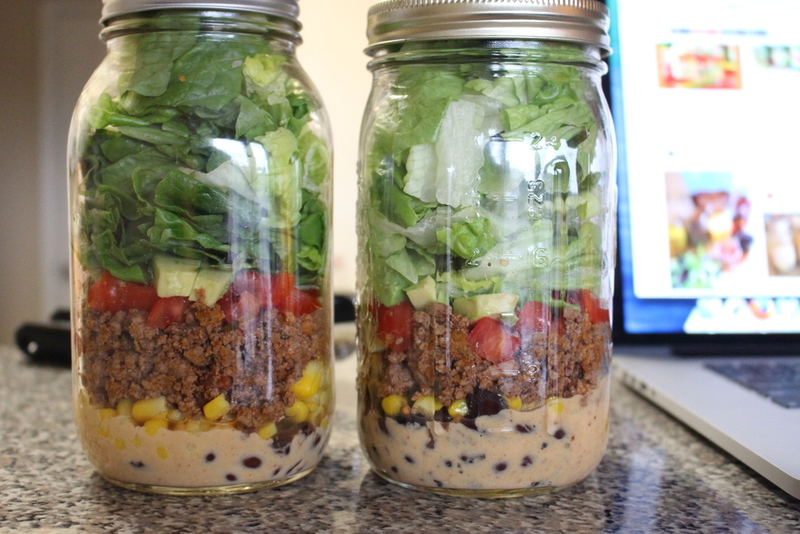 This is my favorite Mexican salad EVER. Yum. It has fresh ingredients and a creamy, flavorful dressing. The Fritos are added right before serving so they'll be nice and crunchy. I would recommend letting the avocados, tomatoes and beans marinade in the dressing for at least a few hours before eating. I don't love cucumbers, unless they're marinated in vinegar and served with red onions! Yum. This is perfect for summer. After eating Italian food and sushi today, this salad was the perfect dinner tonight. It was yummy!